The most uncomfortable films are those that denounce Society’s questionable choices. These films say I know what you’re doing, and they’re not intended to make audiences feel good about themselves. 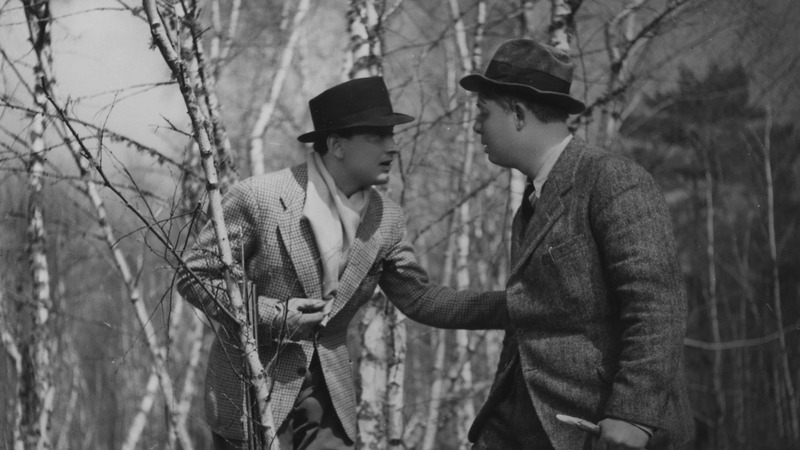 One such film is La Règle du Jeu (The Rules of the Game), released in France in the summer of 1939. 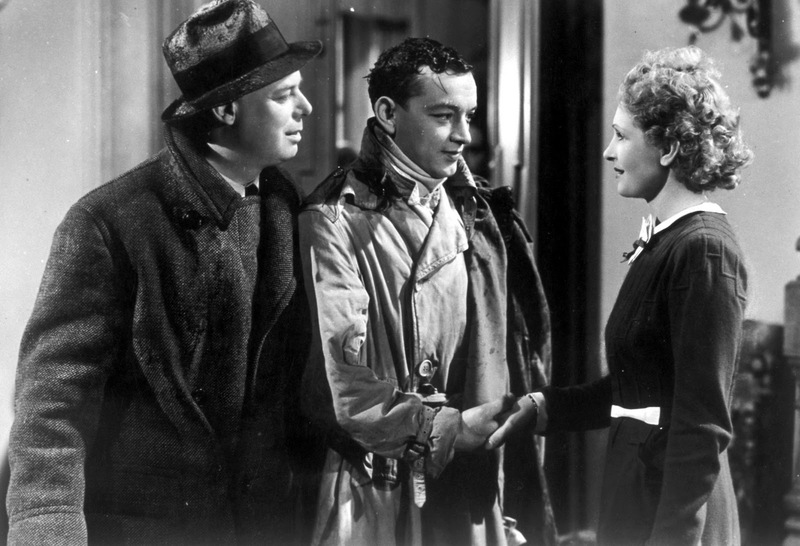 Director Jean Renoir shows us the world of the haute bourgeoisie (the French upper-middle class) on the eve of WWII. These rich, glamorous people have given themselves permission to behave in hurtful ways – as long as no one breaches their Code Of Conduct. 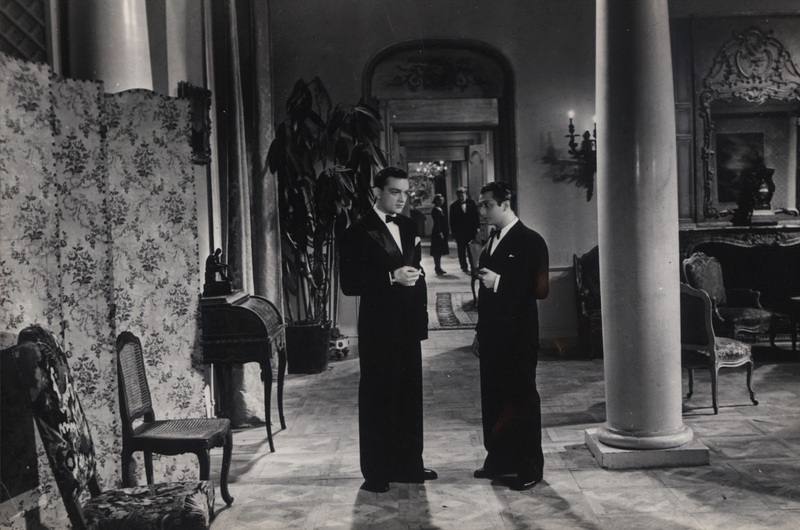 Marcel Dalio plays a Marquis who has been cheating on his wife during their entire marriage. Ah, but his wife (Nora Gregor) has a dalliance of her own, an aviator who is both childish and a national hero. The film begins as Dalio and Gregor plan a trip to their lavish country estate. They invite friends and paramours, which involves romantic scheming and Close Calls with spouses. The servants have their own intrigues, too. Gregor’s servant (Paulette Dubost), is unhappily married to the man who manages the estate, and she becomes attracted to an ambitious poacher. In this way, she mirrors Gregor, her boss. As Gregor is the Upstairs Queen, so Dubost is the Downstairs Queen. Rich or poor, these are simple people who have no knowledge of, or compassion for, circumstances beyond their daily lives. Why should they? Just look at all this opulent deep focus space in which they can pursue their silliness. La Règle du Jeu is beautifully filmed, so when the guests engage in a pheasant-and-rabbit hunt, the images are shocking. Servants use sticks to beat against the trees in the woods, flushing the wildlife towards Dalio & Co., who shoot as many animals as possible. One man apologizes to another for shooting a pheasant he thought was in his own range. These people may not be faithful to each other, but they are faithful to the Rules. Here, then, is another Rule: Putting a nice name on an ugly act deflects the truth and keeps our virtue intact. La Règle du Jeu was released on July 7, 1939. Austria had already been annexed by Germany, and Czechoslovakia was under Nazi occupation. Now there were rumblings from the German/Polish border. Despite wishes to the contrary, it was evident War was already marching across Europe. Indeed, Germany would invade Poland on September 1, and on September 3, both France and Great Britain would declare war. In other words, it was a box office disaster, and an expensive one at that. Later, after the war, a version of the film was pieced together from bits that somehow survived the warfare. When it shown at the 1958 Venice Film Festival, it found new appreciation; nay, reverence. La Règle du Jeu has been called one of the greatest films ever made, and much has been written about it. (See Resources below.) If you haven’t seen it, we urge you to track down a restored version. Director Jean Renoir discusses La Règle du Jeu HERE. The late Robert Osborne with historical perspective HERE. 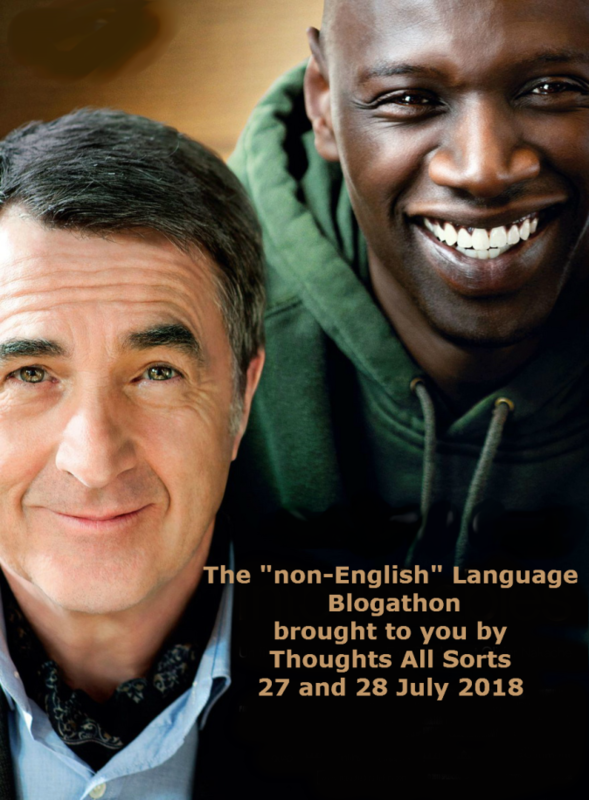 This post is part of the “NON-ENGLISH” LANGUAGE BLOGATHON hosted by Thoughts All Sorts. The Rules of the Game: starring Marcel Dalio, Nora Gregor, Paulette Dubost. Directed by Jean Renoir. Written by Jean Renoir and Carl Koch. Nouvelles Éditions de Films, 1939, B&W, 110 mins. Karen, you must – MUST – see this film. I think you’d really enjoy it. Haha! I had to laugh at your “Weekend at Bernie’s” comment. I’ve never seen that film, and I’m relieved to know I’m not missing out on anything! I hope you enjoy it as much the second time around, if you do get a chance to see it. It would be interesting to hear your thoughts re: how a second viewing might compare to the first. I shall heed your urging with great haste. I have a feeling that my brain and my heart need this film. There’s a lot going on in this film, and I think I need to watch it again to have a greater appreciation. I hope you get the chance to see it – well worth the effort, in my opinion. Aww, thank you, Debbi! What a beautiful thing to say. You’ve made my entire weekend. One of my all-time favorite films. I love how Renoir explores his central themes: the relationship between and among the frivilous upper-class and their servants; the complex emotions between men and women; and the boundaries and expectations of society (the “rules of the game”). It’s ironic that the two most pathetic characters–Andre and Geneviève–are the ones who follow the rules at the risk of their own unhappiness. 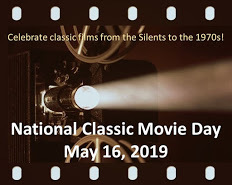 A must-watch for film fan! OOh, thank you so much for bringing this film to my attention. It sounds fascinating. I’m so glad to know it wasn’t lost forever. It is a fascinating film, and I think you might really like this one. I saw the Criterion version, and it was a gorgeous restoration. Ah, I absolutely have to see this one! It sounds fantastic. Thank you so much for bringing my attention to this movie. Can’t wait to give it a go. Am busy putting up the “live” Blogathon page now..you’re first on the list so it will be up shortly. Thanks soooo much for taking part. Greatly appreciated. Thanks for organizing this blogathon. I’m looking forward to reading the entries when I get back home in a couple of days. I’ve heard of this film but knew very little about it, yet you have me very interested and fascinated. Can’t wait to see it! I don’t mean to sound bossy, but you need to see “The Rules of the Game “. I’m dying to know what you would think of it. I hope you get the chance to see it. It might be one you’d really appreciate. I recently order this movie on Amazon. Very excited to see the thrilling performance of Nora Gregor. So glad you got a chance to see it. Nora Gregor is terrific, isn’t she? She’s practically luminous. You have a really nice writing style. I need to see more foreign language films. It’s a really interesting story, and beautifully filmed. Agreed. It’s always interesting to compare 1st & 2nd viewings. What do you think of this film?